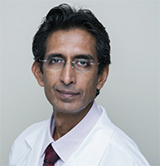 With over 24 years of experience, Dr. Rupin Shah is a well-known, internationally recognized expert in the field of Male Infertility and Sexual Dysfunction with specialty in Sperm Mapping, needle aspiration TESA and micro-dissection TESE procedures. He is the pioneer of male reproductive microsurgery in India and is the developer of the first Indian Penile Prosthesis. Dr. Rupin has been actively involved in teaching for 20 years and has published over 100 articles and chapters on Male Sexual Dysfunction and Male Infertility. Membership: Member of the Editorial Committee of the Indian Journal of Urology 1995-1998, Hon. Visiting Andrologist at Institute for Research in Reproduction (Indian Counsel for Medical Research), Peer Review Panel of the Journal of Obstetrics and Gynecology of India. Education: Dr. Rupin received his M.B.B.S. from Bombay University with 1st Rank, Distinction in Surgery. He went on to receive an M.S. in General Surgery and an M.Ch in Urology, also from Bombay University. Awards: Dr. Rupin has received over 20 prestigious awards for his work in this field, including the DR B C Roy award from the President of India in 2008, granted for developing Andrology as a super-specialty in India. *Please note that Dr. Rupin is available for consultation in both Abu Dhabi and Dubai.